Aah, the glorious Praça do Comércio. 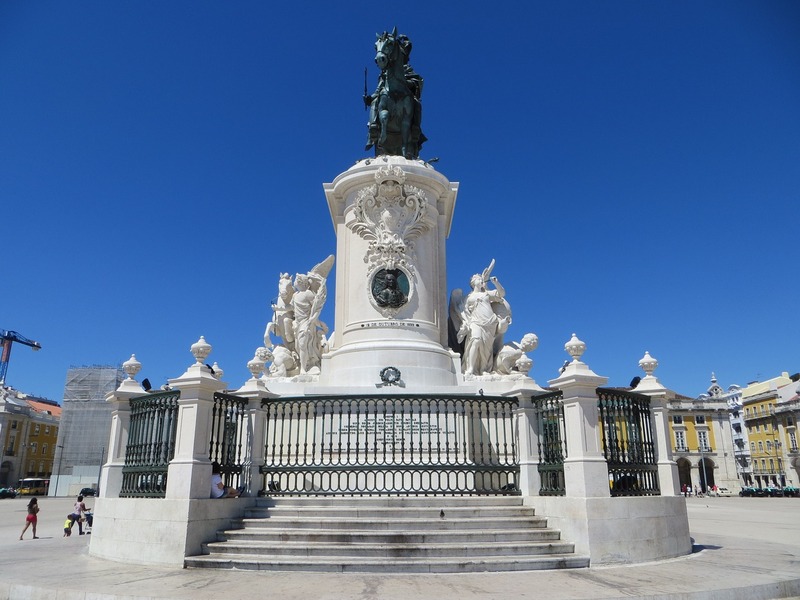 You can take in a lot of Portuguese history in one very picturesque swoop from here. This is the square where the royal palace stood before the 1755 earthquake and where a white elephant reportedly strutted its stuff to the delight of the kingdom atop the city’s first cobblestones so that it wouldn’t step in the mud. You can see west along the Tagus river all the way out to the Atlantic, past the statue of Cristo Rei that the Portuguese clergy envisioned as a plea to the heavens to keep them out of World War II (it worked, although the statue was only completed in 1959). Turn around for a glimpse of the majestic Castelo de São Jorge, the 11th-century castle that the first Portuguese king Afonso Henriques took from its Moorish rulers with the help of a few Crusaders. And you can continue your education at a seriously cheap, if not free, wine-tasting at Vini Portugal on the west side of the square. To wake you back up, grab a bica (espresso) and a pastel da nata (custard cake) at Martinho Da Arcada, to the right of the big arch — this was, after all, a frequent haunt of the great Lisbon poet Fernando Pessoa.